So Much For Checking ID! Delta Airlines was in the hotseat on Tuesday after 2 children were sent to the wrong destination. They were both unaccompanied minors on Delta flights, at a cost of $100 each way by the way, and due to a paperwork mix-up were put on the wrong planes. It should have been fairly obvious when a child with a boy’s name was actually a girl and vice versa. Delta requires all children up to 14 years of age and traveling alone to be registered with this program. Don’t you think most kids 10 and older could probably do a better job than this at navigating an airport by themselves? I for one use my time in the sky as a kind of respite from the online shopping that I’m prone to : ) Well, that’s about to come to an end. 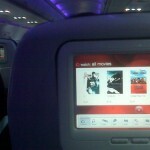 Called ‘The Red Store’, leave it to the impossibly hip Virgin America to make SkyMall shopping cool. 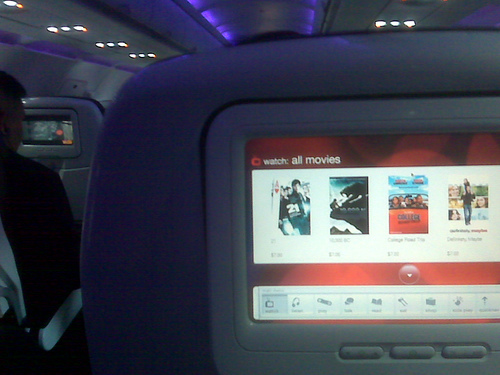 Starting in July, via your seat-back TV, touch screen shopping will be available on Virgin America flights fleet-wide. Speaking of Virgin America, here is a fun contest with a fun prize…they are looking for a name for the plane to serve their new Toronto route. In their words, the name should be “creative, cheeky, mildly inappropriate – but not too inappropriate and Canadian themed”. The winner will get, in addition to bragging rights, an invitation to join the inaugural Toronto flight. Entries due by June 18…good luck, eh? If you’ve become addicted to inflight internet, this giveaway is for you! T-Mobile is sponsoring a sweepstakes to promote their new HTC HD2 smartphone. All of the prizes are pretty cool, but the 5 First Prizes really stand out…Free Gogo Inflight Internet for a year! Contest ends June 19.